There’s a post in my drafts that I’ve not yet published about doing more exercise that makes my heart sing (stay tuned this weekend for it to go live). For me, riding my bike(s) has always brought me unparalleled joy, I’ve loved cycling all my life. The kind of joy I felt as a kid, when my Dad bought me a new BMX for Christmas and instead of ‘just’ wrapping it up, he made finding it into one massive game – a treasure hunt around the house and garden following a piece of string to my prize (nice one Dad). I’ve never let go of that magic. This year I’m determined not to break any bones and do myself out of a summer on the wheels. I can confirm that apart from devouring the entire Breaking Bad collection in the first seven days being a particular highlight of those boring, rested weeks, there wasn’t really much else to be happy about. So, if I’m to keep all my bones in tact this year, including the metal plate that’s now stapled to my clavicle (BFFs forevs), I need to get better on the trails. That means more riding, more practice, more punching fear in the face and not letting my accident stop me from doing what I (really, really) love. I need to work on that bit when the fear takes over on the steep bits, but it’s a work in progress. We ride the trails in Wales and Forest of Dean a few times each year, but that’s not enough if we want to really get better, and be more confident, capable mountain bikers. It’s time to get some proper, regular practice – on trails that don’t take four hours to drive to. We live less than an hour away from the wonderland of singletrack delight that is the Surrey Hills, but had never ridden there until last weekend as we had no idea where where to start. 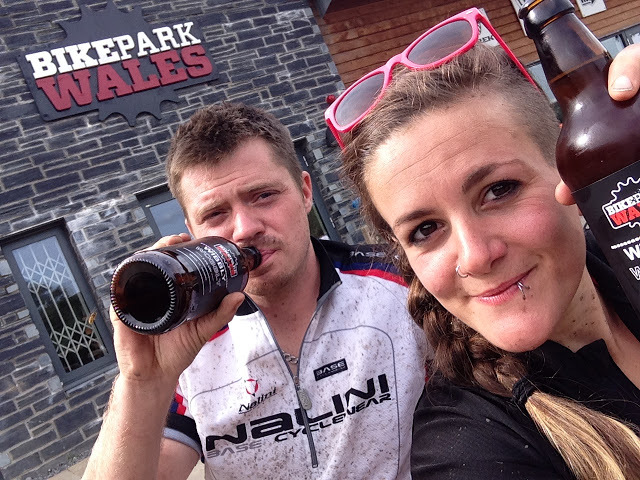 The ‘problem’ with only riding trail centres in Wales and Forest of Dean is that we’re used to nice waymarked, managed, graded trails, and visitor centres with maps, jacket potatoes and bespoke ale for refuelling. 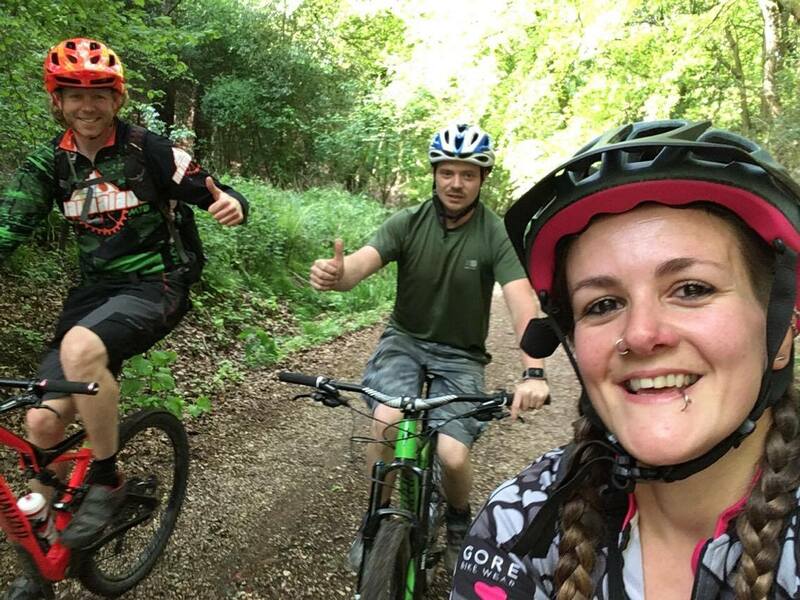 We’re not very good at turning up to the woods and finding the local trails, and we didn’t want to suddenly come across any massive jumps or technical sections that we couldn’t ride, so decided to do a Surrey Hills tour with mountain bike guide Sean from Marmalade MTB. His awesome videos and photos from his group rides and 121s have been invading my social feeds for a few months now, so we were excited to finally hit the send button on a message to book in for ourselves. Now, before I go into the brilliant bike fit and guiding that Sean took us through I’d just like to share one top tip for anyone looking to book in with him. It’s quite a simple tip really, but pretty fundamental to the cycling enjoyment of your day I’d say, and I’m sure anyone who exists in the world, ever, would agree. TOP TIP: WHEN DRIVING FOR AN HOUR TO A MTB GUIDED RIDE, REMEMBER TO BRING YOUR WHOLE BIKE. We pride ourselves on our camping set up. 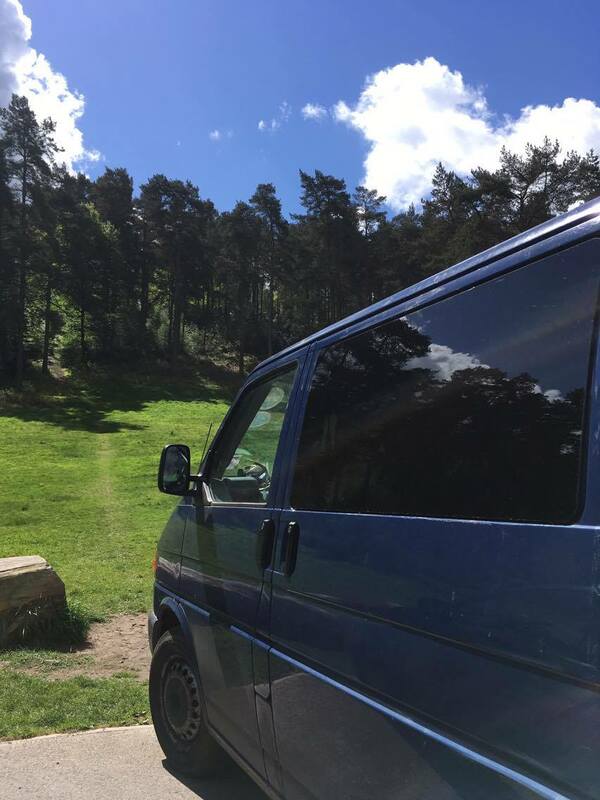 We’ve pretty much mastered it to leave everything permanently in the van (sleeping bag, stove, tea, crockery, cutlery, etc), apart from food and bikes. The idea is, when we take the van away, it’s just a case of packing the food, ice packs, beer and bikes – everything else we need should already be in there. What we didn’t think about was the fact that Chris had previously borrowed my wheel when he had a puncture and we forgot to put his axle back on, so although we threw both bikes and all wheels in the back to leave, what we’d actually done was to drive to Surrey with no way of securing his front wheel. And didn’t realise this until we’d all spent half an hour faffing about with the punctures that we didn’t have the foresight to fix before we turned up. So Chris had to drive ALL THE WAY HOME to get this crucial component, leaving me to have a proper bike fit with Sean and practice some bike handling skills such as track stands before we headed out on the trails. We’ve had our full sus mountain bikes for a year now, and have never actually had them fitted. A few simple adjustments to the dropper seat post, break and gear positions, and suspension made my bike feel so much better. It’s about giving you as little to think about as possible when riding the trails so you can concentrate on your flow and not be faffing about getting comfortable again. Makes total sense in theory, and once I got on my newly fitting bike, it made total sense in practice. Once Chris got back we did a 10 mile loop taking in the only waymarked trail on the Surrey Hills: Summer Lightning and headed to the pub for the all-important liquid debriefing 😆. It was really helpful having Sean behind me giving tips on how to ride and also in front showing me the best lines on the harder sections. There were still a few steep and technical bits that I couldn’t get over the fear enough to ride though so took the chicken runs and let the boys get on with it. On the Sunday though I 100% got my confidence back on two other fast and swooping trails, Yoghurt Pot and Telegraphs, both of which you can see in the video above. Lots of work to do to get over my post-accident fear it seems. I think I’m fine but then it stops me right at the top of a steep drop and proper mucks up my flow, and confidence for the rest of the ride. Like I said though, it’s all about practice practice practice, and we’re going back for Sean’s 20mile tour of the trails this Sunday, so to be continued!!! 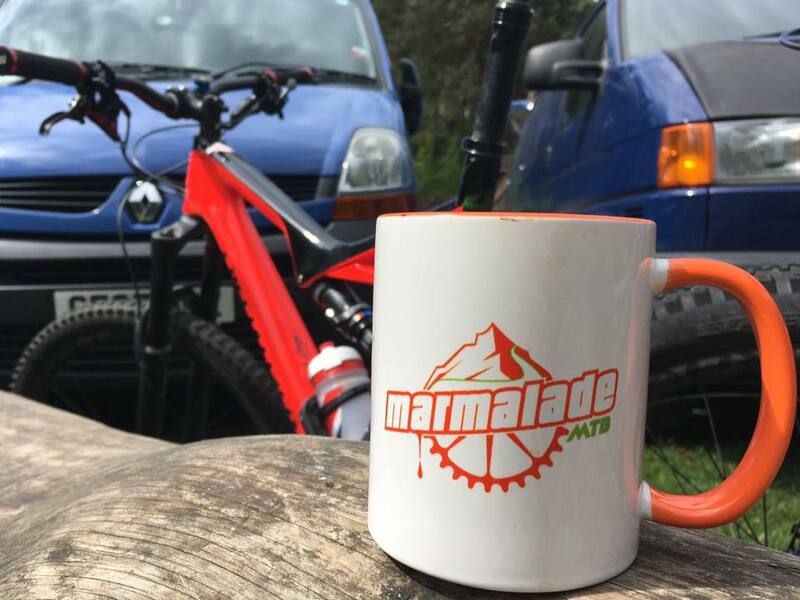 If you fancy a guided tour of the Surrey Hills trails or South Downs get in touch with Sean at Marmarlade MTB. He also does bike maintenance workshops and bike fit too! We paid £60pp for our 121 guided ride, but you can join the monthly group rides for just £20pp. Not sure yet? Follow him on Facebook or Instagram and let him infiltrate your social feeds until you give in. Do you like mountain biking? Got any tips for me to get over the fear after my accident?